Best friends Sindi and Ginger just chillin'. Many people have contacted me seeking help with their dog’s aggression towards other dogs. In response, I am sharing an excerpt from a recent energy reading and animal communication session. It is important to evaluate each situation individually, since every dog is unique. However, the information obtained during my time with this lovely Escondido couple and their sweet dog Emma, can help give insight into the cause of aggression in some dogs. KIM: Why is Emma aggressive towards other dogs? Especially with new dogs, it seems like one minute she is okay and the next she is not. SINDI: In relation to a new dog, I see her natural canine instinct kicks in. She goes into the process of determining who will be where in the hierarchy, as if in a pack in the wild. It is almost as if she becomes a different dog. I also see her protectiveness, especially towards you Kim. It stimulates competition within her. Competing to keep what is hers. “Mommy is mine.” She wants to get this message across. “Don’t mess with what is mine.” This aggressive behavior is an outward expression of her power. She is learning about her power as she experiences it. She is trying things out as she learns and grows as a being. Because she is getting attention for her aggression, she continues this behavior. She does not know she isn’t supposed to do this. What behavior would you prefer from Emma? CHRIS: Calm and not so aggressive. SINDI: In communicating with Emma about her protectiveness, it is clear that it is fear based and survival oriented. Emma is afraid. She does not want anything to happen to either of you. She gets caught up in her desire to protect and uses aggression as a protection. CHRIS: Even when we are not in danger? SINDI: Yes. Even when you are not afraid, she reacts when something approaches her “territory.” She is very aware of energy and space. She sees both of you as part of her territory to protect. She is being proactive. She is determined to make sure nothing messes with her territory. She knows she has a good thing going! Emma believes she is doing her job. The most challenging part for her to overcome is the protectiveness, again especially of you Kim. I have some basic training techniques to help teach Emma an alternate behavior to her aggression. Since Emma likes food, working with treats will make her easier to train. Using a clicker or verbal “marker”, such as “yes” just prior to giving Emma a treat will add additional reinforcement for the desired calm behavior. It will be important to discontinue reinforcing the aggressive behavior. If you say, “no”, “stop”, get excited or give the unwanted behavior any type of attention you are, unintentionally reinforcing it. Just as Emma is being proactive in protecting her “territory”, you must also be proactive and reach her before she goes into an aggressive mode. Be prepared by having treats readily available at all times. High value treats, praise, affection and favorite toys are all rewards to give before she reacts. Continue to reward Emma as a distraction and to encourage her calmness until the source of potential aggression is gone. Your timing is essential. If you miss an opportunity, don’t worry, but do not reward. Try again next time. Reward calm, non-aggressive behavior only. Whether or not another dog is present, you can reward Emma when she is calm and further reinforce the desired state of being. You will be able to fade out the rewards, as calmness becomes Emma’s default behavior. Because aggression can be a dangerous situation for dogs and people, I suggest avoiding getting too close to other dogs during Emma’s learning process. Keeping a safe distance will also help you to remain calmer and make it easier to ignore the aggression, if it occurs. KIM: I am worried about my energy. I am afraid that Emma is going to hurt another dog so I have my mom take her to puppy socialization class. I know if I am there I am going to worry she is going to react to the other dogs. SINDI: Great awareness! Yes! Animals definitely tune into our energy and emotions. If we are fearful and put out the thought and energy that aggression is going to happen, it most certainly will! Good for you for finding another option as you work on your part of this healing process. It is NEVER just about our pet. 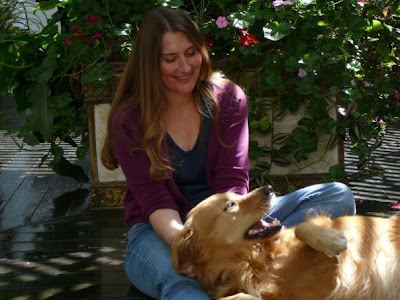 We need to change our behaviors, energy and responses if we expect our pets to do the same. Email your questions and comments to sindi@wildtame.com. To learn more about Sindi visit www.wildtame.com. "Mommy, I think you have some food on your neck!" In your last column you said to never cook chicken necks before feeding them to pets. Why? When you cook bones, they harden making them more likely to splinter. Ingesting cooked bones is potentially dangerous and can seriously harm your pet. I recommend monitoring your pets anytime they are chewing a bone, even if it is raw. Although your pet’s safety is the primary concern, feeding pets raw, uncooked bones and meat is extremely nutritious. More nutrients remain accessible in the food versus being cooked or processed out. Heat diminishes vitamins, minerals and the potency of other nutrients. Just as with any new food, I suggest transitioning raw meat and bone into a pet’s diet gradually. I have been looking for a new dry food for my dog and have found one called Kruncheros by Great Life. It’s supposed to be a freeze dried raw food in bite size pieces like kibble. Is this a food you recommend? Although I don’t have first hand experience with Kruncheros, I am familiar with Great Life. After reading information provided on their website www.doctorsfinest.com, I called the company. They assured me that Kruncheros is a freeze dried raw food making it more nutritious than traditionally prepared kibble. Kruncheros looks like a promising dry food alternative. Because of my limited information about it, I can’t give a personal recommendation for Kruncheros, however I do recommend Great Life as a brand. I currently use their natural anti-flea spray, Tombstone. I am also a fan of pet food that has been freeze dried because it is higher in nutrients than more highly processed and cooked varieties. Kruncheros needs to be rehydrated before feeding. Dry foods of any kind can dehydrate an animal’s body, so it is essential to insure they are consuming sufficient amounts of water. Glucosamine, chondroitin and MSM are beneficial for cartilage and joint health. Be patient and consistent when administering these supplements as it can take several weeks or months to see results. Sometimes ingredients are added that simply aren’t necessary, such as colored dyes and sugar derivatives, so it is important to always read the contents label. 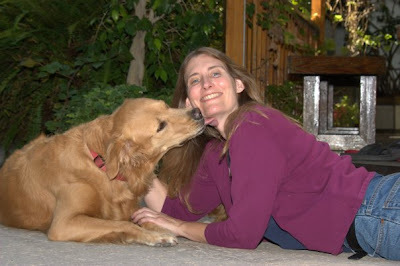 Many have also had great success with an all natural product called Dog Gone Pain (DGP) by Harmony Co. www.doggonepain.com. It has a canine friendly name, but is also appropriate for cats. I called the manufacturer to confirm this. Unlike glucosamine, results can be experienced within one week in many cases. Adding fish or emu oil to your dog or cat’s diet can further aid in relief, as these Omega rich oils have natural anti-inflammatory properties. They also benefit skin, coat and overall health. Although movement and exercise remain important, avoid pushing your pet to do things, such as walk as far as he used to. You may need to give lifting assistance or provide a ramp or stairs if he is not able to comfortably jump up to higher levels on his own. Swimming and water therapy are low impact forms of exercise to consider also. Besides exercise, using gentle massage can help increase circulation in the affected areas and throughout the body. If your pet communicates that what you are doing hurts or is uncomfortable, stop immediately. He may vocalize, pull away or even scratch or snap at you in an attempt to get you to quit. Skilled professional animal massage therapists are available and definitely recommended. However, I enjoy massaging my own pets. It is a way to bond and show my affection. To help gain information, I took workshops on animal massage and Ttouch, another therapeutic approach presented at the San Diego Humane Society www.sdhumane.org. Some basic tips are to avoid bony areas and never massage directly on the spine. Gentle is the key word when massaging animals. Other healing modalities, include acupuncture and energy healing, which can help increase the flow of energies in your pet’s system. One last important consideration is your pet’s immune system. Eating nutritious food, staying hydrated and taking additional supplements and vitamins, including antioxidants, can give your companion animals an extra boost. This can make it easier for their body to heal itself. Email your pet questions to sindi@sdnews.com. Visit me online at www.wildtame.com. Happy 2010 to you and your pets!